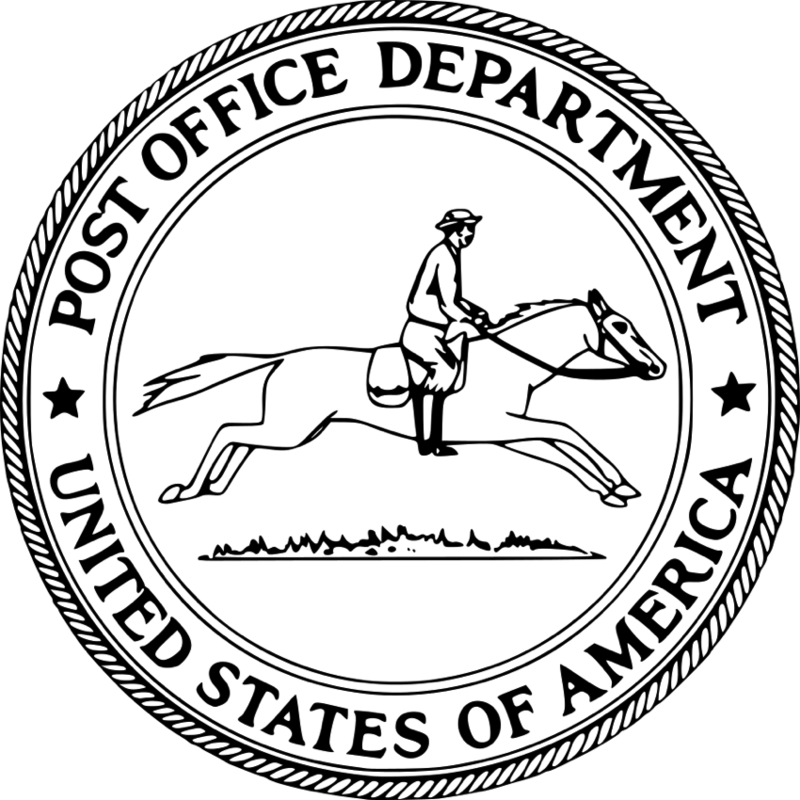 The Post Office Department (1792–1971) was the predecessor of the United States Postal Service, in the form of a Cabinet department officially from 1872 to 1971. It was headed by the Postmaster General. The Postal Service Act signed by President George Washington on February 20, 1792, established the Department. Postmaster General John McLean, in office from 1823 to 1829, was the first to call it the Post Office Department rather than just the “Post Office.” The organization received a boost in prestige when President Andrew Jackson invited his Postmaster General, William T. Barry, to sit as a member of the Cabinet in 1829. The Post Office Act of 1872 (17 Stat. 283) elevated the Post Office Department to Cabinet status. 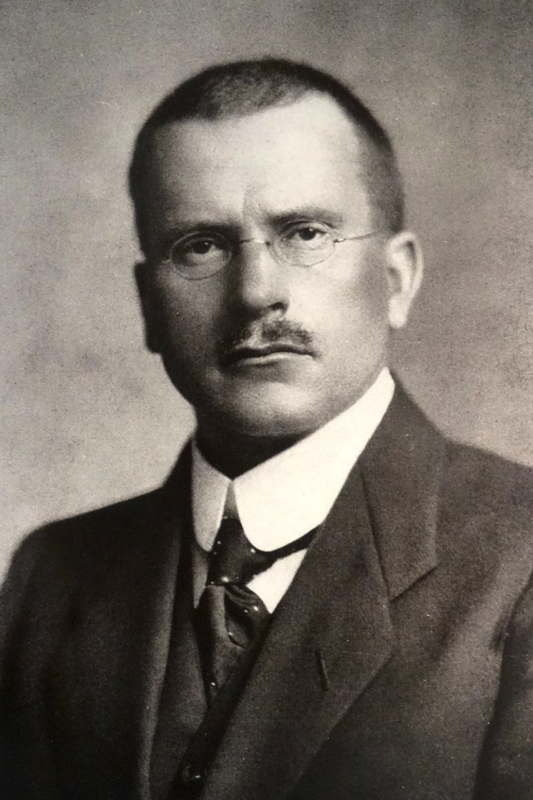 1875 – Carl Jung, Swiss psychiatrist and psychotherapist is born. Carl Gustav Jung was a Swiss psychiatrist and psychotherapist who founded analytical psychology. His work has been influential not only in psychiatry but also in philosophy, anthropology, archaeology, literature, and religious studies. He was a prolific writer, though many of his works were not published until after his death. Jung created some of the best known psychological concepts, including Jungian archetypes, the collective unconscious, the psychological complex, and extraversion and introversion. 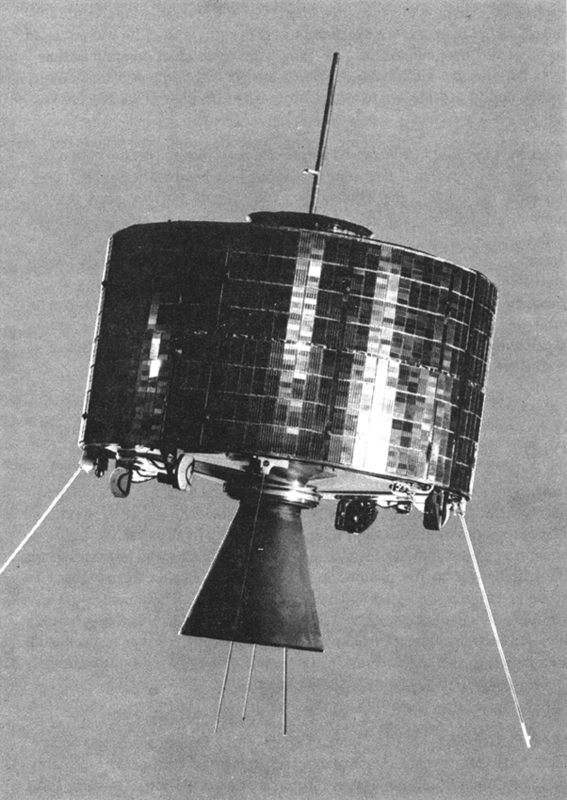 Syncom 2 was the first geosynchronous communications satellite. Its orbit was inclined rather than geostationary. The satellite was launched by NASA on July 26, 1963 with the Delta B #20 launch vehicle from Cape Canaveral. The satellite successfully kept station at the altitude calculated by Herman Potočnik Noordung in the 1920s. During the first year of Syncom 2 operations, NASA conducted voice, teletype, and facsimile tests, as well as 110 public demonstrations to show the capabilities of this satellite and invite feedback. In August 1963, President John F. Kennedy in Washington, D.C., telephoned Nigerian Prime Minister Abubakar Tafawa Balewa aboard USNS Kingsport docked in Lagos Harbor; the first live two-way call between heads of government by satellite. The Kingsport acted as a control station and uplink station. Syncom 2 also relayed a number of test television transmissions from Fort Dix, New Jersey to a ground station in Andover, Maine, beginning on September 29, 1963. Although it was low-quality video with no audio, it was the first successful television transmission through a geosynchronous satellite. 1971 – Apollo program: Launch of Apollo 15 on the first Apollo “J-Mission”, and first use of a Lunar Roving Vehicle. Apollo 15 was the ninth manned mission in the United States’ Apollo program, the fourth to land on the Moon, and the eighth successful manned mission. It was the first of what were termed “J missions”, long stays on the Moon, with a greater focus on science than had been possible on previous missions. 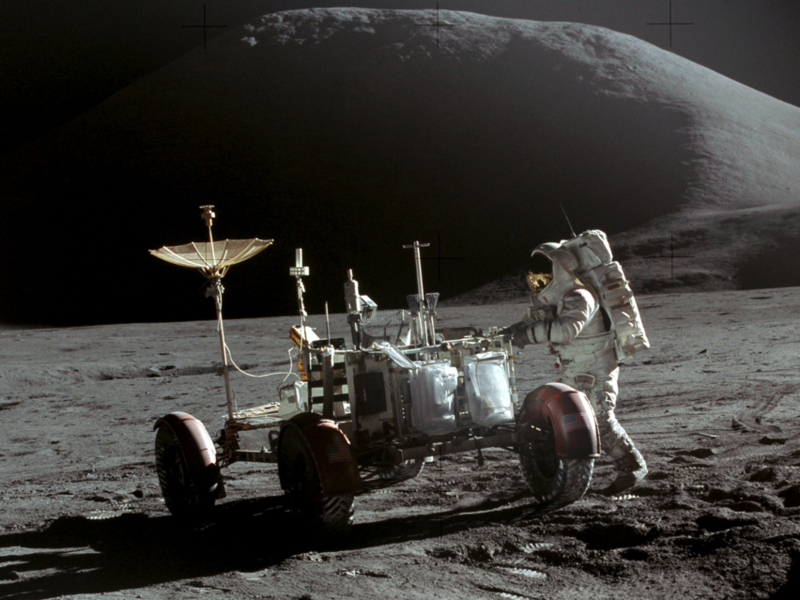 It was also the first mission on which the Lunar Roving Vehicle was used. Commander David Scott and Lunar Module Pilot James Irwin spent three days on the Moon, including 18½ hours outside the spacecraft on lunar extra-vehicular activity (EVA). The mission landed near Hadley rille, in an area of the Mare Imbrium called Palus Putredinus (Marsh of Decay). The crew explored the area using the first lunar rover, which allowed them to travel much farther from the Lunar Module (LM) than had been possible on missions without the rover. They collected 77 kilograms (170 lb) of lunar surface material. At the same time, Command Module Pilot Alfred Worden orbited the Moon, using a Scientific Instrument Module (SIM) in the Service Module (SM) to study the lunar surface and environment in great detail with a panoramic camera, a gamma-ray spectrometer, a mapping camera, a laser altimeter, a mass spectrometer, and a lunar sub-satellite deployed at the end of Apollo 15’s stay in lunar orbit (an Apollo program first). 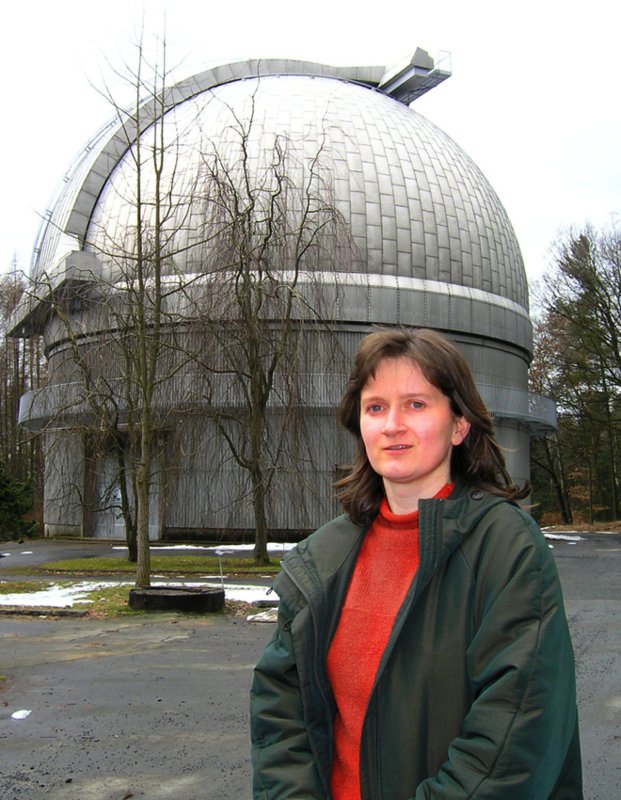 1973 – Lenka Kotková, Czech astronomer is born. Lenka Kotková is a Czech astronomer. She is a prolific discoverer of asteroids. She works at Observatoř Ondřejov (Ondřejov Observatory), located near Prague. Besides numerous main belt asteroids she also discovered Mars-crosser asteroid 9671 Hemera and Hilda family asteroid 21804 Václavneumann. Lenka Kotková studied meteorology at the faculty of Mathematics and Physics of the Charles University in Prague. Her tasks at the Astronomical institute AV ČR in Ondřejov are primarily the development of databases, spectroscopical and photometric observation, and data processing. During her work at the department of inter planetary matter her main role was the observation of near-earth asteroids, along with Petr Pravec and Peter Kušnirák she identified a large proportion of known binary asteroids. In the same time period she discovered or co-discovered over one hundred asteroids. At the present time Lenka Kotková works in the stellar department as an observant with a two-metre Ondřejov telescope. In the year 2000 she received the Zdeněk Kvíz Award of the Czech Astronomical Society for significant work in the research of variable stars. The asteroid 10390 Lenka, discovered by her colleagues Petr Pravec and Marek Wolf in 1997, is named after her. The asteroid 60001 Adélka, discovered by her in 1999, is named after her daughter, while 7897 Bohuška, discovered by her in 1995, is named after her mother. 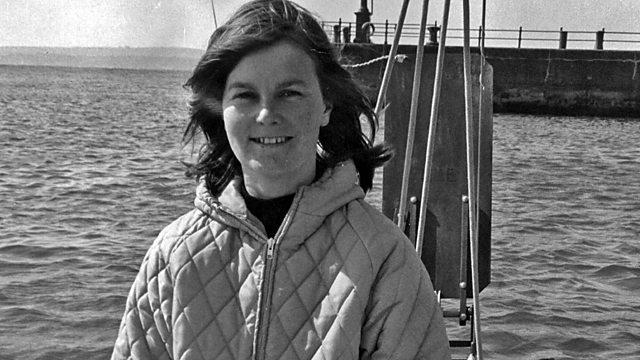 Nicolette Daisy Milnes-Walker, MBE was the first woman to sail non-stop single-handed across the Atlantic. She set sail on 12 June 1971 from Milford Haven, UK and arrived in Newport USA forty five days later on 26 July. She made her crossing in a 30 ft yacht, Aziz, a ‘Pioneer’ Class 9 meter designed by Van Der Stadt and constructed by Southern Ocean Shipyard Ltd, Poole, Dorset. 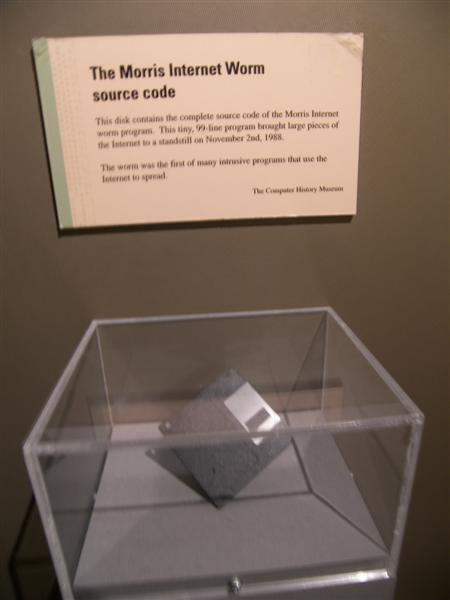 The Morris worm or Internet worm of November 2, 1988 was one of the first computer worms distributed via the Internet. It was the first to gain significant mainstream media attention. It also resulted in the first felony conviction in the US under the 1986 Computer Fraud and Abuse Act. 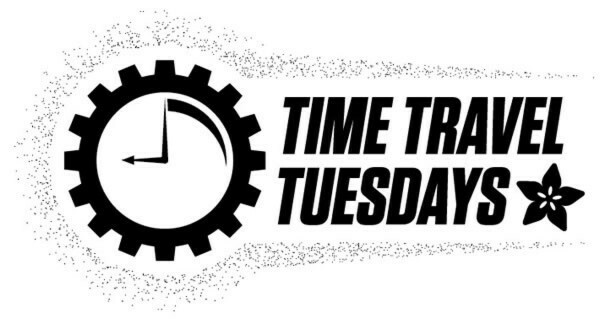 It was written by a graduate student at Cornell University, Robert Tappan Morris, and launched on November 2, 1988 from the computer systems of the Massachusetts Institute of Technology. 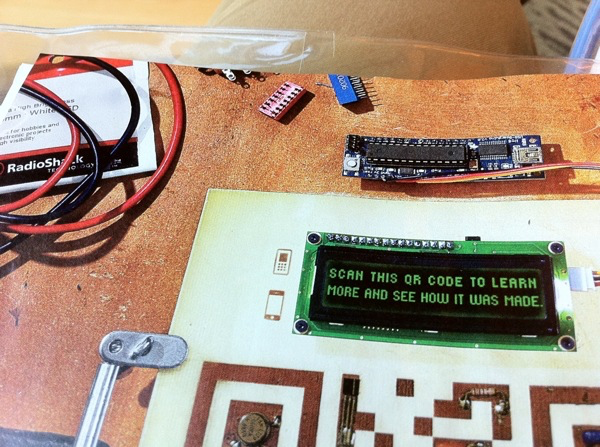 @adafruit in a @radioshack ad…. well, USB Boarduino ? Thanks Tyler! Just to make it clear, we didn’t know about this ad, USB Boarduinos are not for sale in RadioShacks as far as we know! The O’Reilly Open Source Awards recognize individual contributors who have demonstrated exceptional leadership, creativity, and collaboration in the development of Open Source Software. Past recipients have included Brian Aker, Angela Byron, Karl Fogel, Pamela Jones, Bruce Momjian, Chris Messina, David Recordon, and Andrew Tridgell. The nomination process is open to the entire open source community and all entries are judged by the 2012 winners. We saw the tweets that it’s official now (thanks Federico!). Thank you OSCON and O’Reilly for awarding our Ladyada! Most of all thank you to the open-source community, we’re here doing this open-source hardware and software adventure together, building and sharing, thank you!